Please note that notifications are for staff too! Certain events in the system are for staff (like an assignment being submitted). See the document for details. 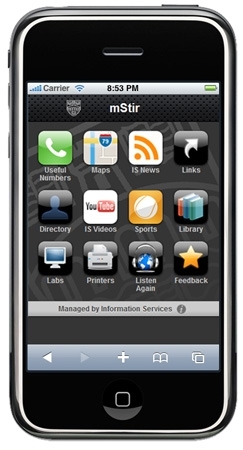 Notifications can also be accessed on your smartphoneÂ via mStir – http://m.stir.ac.uk Â – and look for the Succeed Notifications icon. You will need to login to mStir to see your notifications (this service should be available from Thursday 16th February).